Interactive online marketing is more likely to increase a company’s interaction rate and click through rate; but is it truly an effective form of advertising? Many online browsers are becoming blind to online ads because of the amount of overexposure that they have had to banner ads. In fact, one study found that as many as 43% of consumers ignore online display ads. Although display ads may not get the credit they deserve when it comes to calculating conversions, they should not be underestimated. When a user sees an ad, they are 24% more likely to recommend that brand or product to someone. The more effective your ad is, the more likely a company will be successful in their marketing campaign. 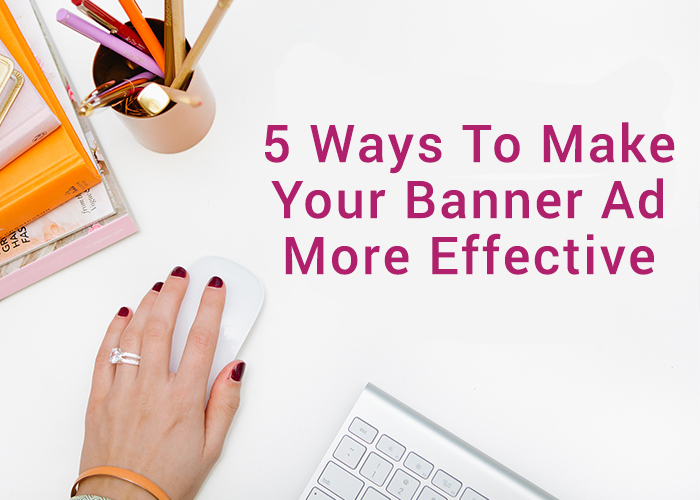 Here are 5 ways that companies can make their banner ads more effective. HTML5 ads provides you with the ability to animate and convince the user why you’re worth choosing. Just remember to clearly deliver the message and not make your ad too flashy. Keep it simple and straight to the point. 2. Re-market to consumers who are already familiar with your brand. If they see banner ads that are more relevant to their interests, there is a greater chance of impacting them. 3. Give consumers a great reason to click on your banner. This can be done by including enticing promotions and offers. No one wants to stop what they are doing unless it’s worth it! 4. Visual appeal is extremely important. The web is packed with distractions and a great design is necessary to draw people in. Statistics show that traditional marketing imagery decreases the credibility of a website. 5. Don’t underestimate the power of internet brand building. Banner ads can be a very cost efficient way of connecting you with prospective consumers. Most people spend hours per day surfing the net, and unlike TV or print ads, they can’t be removed.